Did you know investing in a good website design early on is one of the smartest things a business can do? Why? Because there’s no better way to quickly inform your customers who you are, what you do and how you do it better than your competition. Better Branding. In simple words, your website should act as an extension of your brand. To leave a lasting impression on your visitors, invest in a professional looking website with clear call-to-actions for potential customers. Also, keep in mind that if your web presence doesn’t transfer to a good experience on mobile devices, about 50% of your visitors will most likely think you don’t care about them. Higher Google ranking. By creating a responsive and mobile-friendly website, you will have greater success in reaching more potential customers. Implementing SEO and creating quality content tells a search engine like Google that your website is relevant, therefore more people need to see it. Result? Higher rankings! Data-Driven Results. Use Google Analytics (for free) to learn how your users are interacting with your company’s website and then improve their experience accordingly. Trust us, your website will prove invaluable in providing data about your customers and their buying behaviors! 24/7 Accessibility. With the help of a good website design, business owners are able to create a user-friendly and welcoming online environment where visitors can get useful information any time of the day. Better Customer Service. One last thing to remember when it comes to a good website design is that it should be all about the user! That means easy navigation, clean layout, visible contact information, up to date links and of course, quality content. Your clientele will NOT be impressed with a dated and poor functioning website! Remember, first impression counts! As you can see, a good website design has the potential of becoming the most effective marketing and branding material your business can use. Are you ready to invest in a good website design? Advertising is Simple is in the business of making advertising simple and we begin by creating you a great website to show off your brand. We make sure that your site has all the necessary features so that you can create a lasting impression and take pride in your web presence. To view our website portfolio, click here. If you own a business and know the importance of digital marketing, you probably already heard of SEO. It is a common expectation these days that Search Engine Optimization (SEO), if implemented right, will undoubtedly drive sales to your business. Well, as digital marketers dealing with SEO tactics in daily basis, we’re here to tell you why that’s not always the case. Since SEO is one of the single most misunderstood elements of a maintaining a good website, in today’s post, we’d like to share a few fantastic industry insights from Sam Von Tobel, the author of 3 Common, Yet Unrealistic SEO Expectations article written for roundpeg.biz. 1. You will find much more success targeting less frequently used, niche keywords. “Finding your way to the top of page one is a lofty goal that takes lots of time and effort. You give yourself a much better chance of rising through the ranks if you commit to generating relevant and high-quality content and have the patience to let your website grow.” Read more here. 2. If increasing sales is truly your goal, your focus shouldn’t be on SEO. “With the misconception of SEO creating visibility also comes the assumption that visibility equals sales. More people are coming to your website, so that means they are going to buy from you, right?Wrong. Your landing pages not only need to be attractive, the content needs to be fresh and engaging and needs to drive action, whether it’s tempting them with more information with a click of a button, a free demo or providing them with something of value like a whitepaper or download. Read more here. 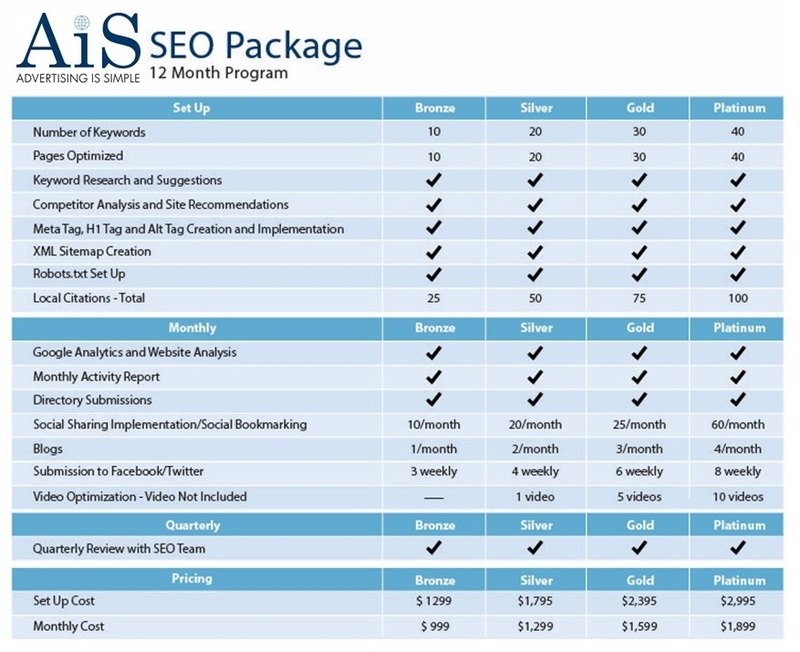 “SEO algorithms are pretty intricate and sometimes hard to get a grasp on. One thing that is certain, however, is that search engines definitely give preference to new, high-quality content. Constantly adding to your website, adding more content with the keyword or keywords you prioritize is the most consistent way to keep you ahead of the SEO game. That’s just one of the many reasons we emphasize the importance of blogging.” For more tips, go here. As you can see, implementing SEO can be wonderful for your business – IF you have the right expectations. As a marketing agency in Delaware, we consistently stay up-to-date on the most effective methods of SEO, that’s why we call it Adaptive SEO. What works today, may not work a few months down the road. We monitor your advertising results through A/B testing and in depth analytics to get you the highest rate of return on your advertising dollars. Looking to expand your knowledge on the latest SEO practices, Internet marketing and video? Advertising Is Simple is proud to announce that next Wednesday, November 1st, we will be hosting an exciting event with SEMPO, bringing you the latest updates on all things digital marketing. SEMPO is a global non-profit organization serving the search engine marketing industry and marketing professionals engaged in it. The purpose is to provide a foundation for industry growth through building stronger relationships, fostering awareness, providing education, promoting the industry, generating research, and creating a better understanding of search and its role in marketing. What is SEMPO Cities Initiative? SEMPO Cities initiative launched in 2015. Since then, it continues to build awareness and education around search at the local level through learning and networking events. Beth Heller – One of Google’s Partner Enablement Managers in NYC. Before Google, Beth spent 10+ years in marketing – leading communications teams at PR agencies and serving as a media trainer for her clients. Kamran Malik – a Franchise business manager a Digital Marketing Strategist at WSI. Kamran has mentored/advised 364 entrepreneurs across 60 cities, 18 countries and spanning 5 continents around the world. Google trends, Video and the Internet. We hope to see you there! Are you looking for powerful marketing tools to instantly (and successfully) connect with your customers? Online video is now very accessible and hugely popular! It is repeatedly proving itself as an effective way to improve customer engagement, increase brand awareness and attract search engine traffic. So what are you waiting for? Consider investing in a video campaign to help drive traffic and conversion to your business. Need more help figuring out how to do it? The following 5 tips will help prepare you for a successful video marketing campaign. If you are not investing in video as part of your digital marketing strategy, you are missing a great opportunity to engage your target audience, expand your brand and boost sales. If you would like help implementing video marketing for your business, get in touch!